I came to Manchester in 2000, having previously held lectureships at the University of Kent (where I was a postgraduate) and Birkbeck, University of London. Click on the tabs above for more information, though note that the information the system pulls up under the 'Student theses' tab is very incomplete - see instead the 'Opportunities' tab for a list of the doctoral students I have supervised. I am the General Editor of The Cambridge Edition of the Fiction of E.M. Forster in eight volumes. My critical writing has three broad themes which often appear in combination: modernism, colonialism and the post-colonial; the arts and English radicalism; and masculinity and male sexual identity. I am on the steering committee of the international Forster conference to be held in Cambridge in April 2020. In addition to my work on the CUP edition for Forster’s fiction, for which I will edit Maurice, I wrote the chapter on Maurice in The Cambridge Companion to E.M. Forster (Cambridge University Press, 2007). A chapter on Maurice and David Galgut’s Forster biofiction Arctic Summer is forthcoming in a Liverpool University Press volume of essays on Maurice, edited by Emma Sutton and Tsung-Han Tsai. Forster has also featured in the following recent book chapters: with D.H. Lawrence in Gregory Castle’s A History of the Modernist Novel (CUP, 2016), with Lawrence and William Faulkner on non-metropolitan modernisms in Vincent Sherry’s The Cambridge History of Modernism (CUP, 2017). I am currently working on a book on Lawrence, violence and male homosexuality. I’ve written some twenty articles and chapters on Lawrence. I am on the editorial board of the Journal of D.H. Lawrence Studies and the reading committee for Etudes Lawrenciennes. 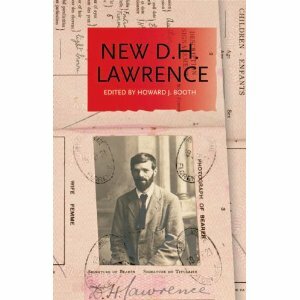 New D.H. Lawrence (MUP, 2009), which I edited, brings current approaches in English Studies to Lawrence, including work on publishing, reception, philosophy, ethics, myth, eco-criticism, gender studies, psychoanalysis, war and the postcolonial. Forthcoming is a chapter on Lawrence and his relationship to late Victorian writing in Decadence in the Age of Modernism, edited by Kate Hext and Alex Murray, to be published by Johns Hopkins UP. 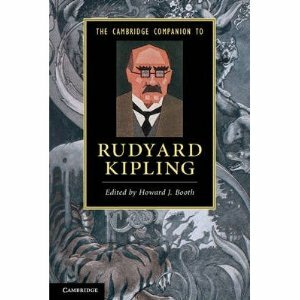 I’ve a strong interest in the work of Rudyard Kipling, editing The Cambridge Companion to Rudyard Kipling (CUP, 2011). In addition to an article in that bok on Kipling’s later stories, I have also published on Kipling and homosexuality in Jan Montefiore, ed., In Time’s Eye: Essays on Rudyard Kipling (MUP). I am on the reviewing board for The Kipling Journal, and was a plenary speaker at the ‘Kipling in Europe’ conference in Bologna in September 2016. In the area of writing and colonialism in the twentieth century, Modernism and Empire, edited with Nigel Rigby, appeared from MUP in 2000. An article on Claude McKay in Britain is in Len Platt’s collection Modernism and Race (CUP, 2011). I co-organised a conference on Sylvia Townsend Warner and modernism at Manchester in April 2018, where I spoke about The Flint Anchor. In 2014 I published an article on Warner’s Mr Fortune’s Maggot, colonialism and time in Literature Compass. I have authored articles and chapters on Victorian cultural critic and writer on homosexuality, John Addington Symonds. I was a plenary speaker at the ‘(Re)reading Symonds’ conference at Keele University in September 2010 (my paper was subsequently included in a Special Issue of English Studies on Symonds in 2013).